Here are some musings and reflections on writing and storytelling from Rosanne, and also what she's been reading. Tip no 1: to be a good writer you have to read a lot, so why not include articles about reading here as well. Lately I've read some novels set in India. One of the most memorable is A Fine Balance by Rohinton Mistry. Most outline the problems in India, but I think The White Tiger by Aravind Adiga is the first I've read which shows a character actually 'breaking free' of the social system, a system of conformity that helps keep a billion people living in poverty and subservience. Janeen Brian has asked me to participate in the Writing Process Blog Hop and I have asked Vikki Wakefield. See all our responses here. Sally Heinrich invited me to join the Blog Tour Award and here are my responses with some pics from the writing journal I kept for The Truth About Peacock Blue. 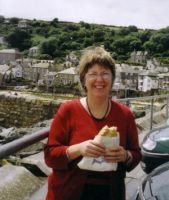 'Cornish- Australian identity and the novels of Rosanne Hawke', a paper written by Emma Bennett has been published in Cornish Studies 20, edited by Philip Payton. It was so interesting to see the parallel between Ally Condie's 'Matched' and 'Marrying Ameera'. Maybe every writer � whether they know it or not � learnt to write by reading. I believe reading to children at a young age is beneficial in language acquisition. 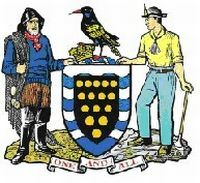 I am very honoured to be asked to be the patron of the Kernewek Lowender (Cornish Festival) writing activities for children. I was honoured to be included on a panel led by Allan Holmes from DENR with Michael Leunig and Elder Tom Trevorrow discussing our connection to country. Listen to the podcast here. Rosanne teaches Creative Writing at Tabor Adelaide. Find out more about Tabor Adelaide here. I've been invited to take part in The Next Big Thing blog trail talking about a new release. Here is some information about Shahana: Through My Eyes. I've read some great books in the last few months so I will mention some of them here. Questions often asked by students or young writers, e.g. How did you write your books and get published? 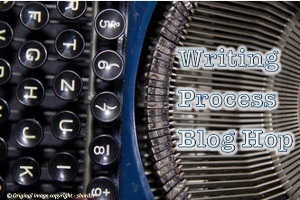 What is your writing and publishing process? There are tips here from Rosanne a also from other authors. See writing ideas for new writers called Picture This.